Browse and shop from over 400 artists and craftsmen lining the streets and the square in Bedford and in Fort Bedford Park. 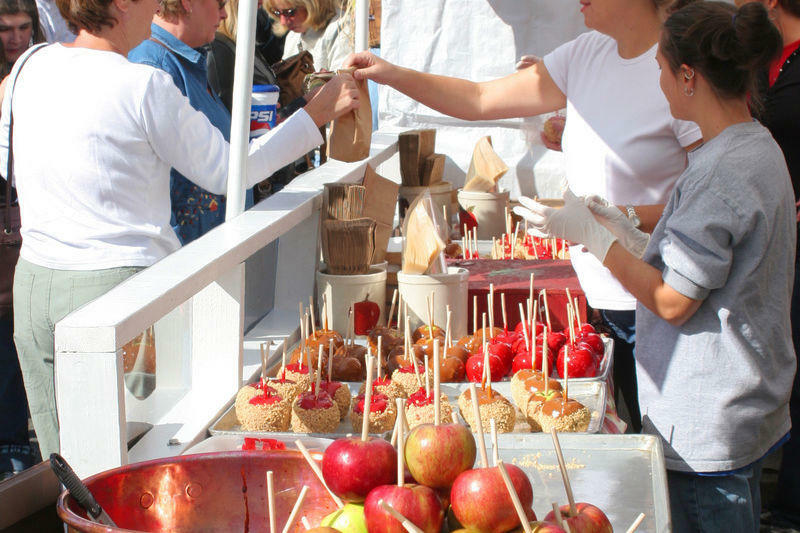 A variety of musical entertainment is offered along with parades, a juried arts exhibit, a quilt show and sale, a fall foliage Queen contest, antique car parade, children’s activities and more. Tempt your taste buds with your festival favorites: candied apples, apple cider, BBQ chicken and beef, hot sausage sandwiches, crab cakes, steak sandwiches, pizza, hot soups, french fries, kettle korn, hand dipped ice cream, apple dumplings, funnel cakes, baked goods, candies, and all kinds of tasty treats.